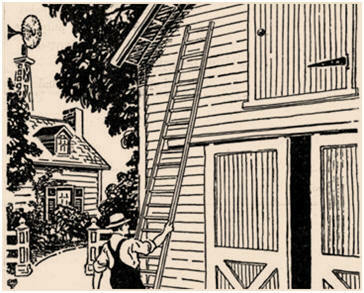 Learn tried-and-true methods of building and maintaining your small farm or homestead from historic US Department of Agriculture books and bulletins. The University of North Texas provides online editions of thousands of United States government sponsored books and documents. Here's a small sampling of USDA publications from the 1930s through the 1960s. These old works do not show the latest and best methods, but they are still valuable for ideas. The contents of the University of North Texas Digital Library are made publicly available for use in research, teaching, and private study. Review each manuscript for copyright information. It's your responsibility to use this material according to all applicable terms. How to Build Your Own Chicken Coop Get detailed, illustrated step-by-step instructions on how to build an assortment of permanent and portable chicken coops for your yard. Learn how to care for your hens and how to have your own fresh organic eggs everyday. Live the Self Sufficient Life Learn how to keep bees, how to build your own greenhouse and chicken coop, how to live off grid, how to grow fresh fruit and vegetables, how to home school your kids, how to grow hydroponic gardens and much more. Easy Do It Yourself Chicken Coop Plans Get plans, instructions, material lists and how-to videos to build dozens of inexpensive coops and chicken tractors. Free guidebooks included with your order will teach you how to easily raise and care for your chickens.